As I was first beginning to discover fly fishing and all it entailed, I found Cameron over at the Fiberglass Manifesto and fell in love with his blog. I loved the detail in the rods he was featuring, from all over the world. 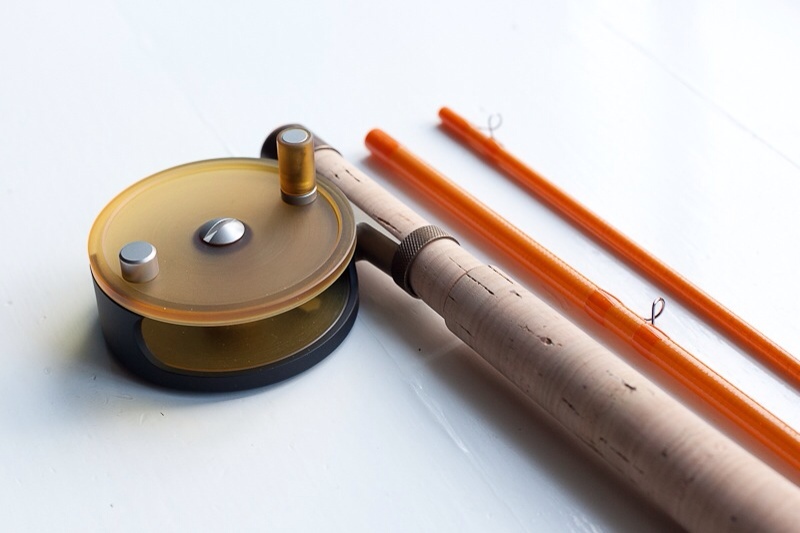 From custom stacked bamboo reel seats, hand made hardware, and the reel collections many of the beautiful rods featured made me envious and excited to try and start my collection. One of the builders that Cam often featured was Christian Horgren. From the first rod of his I saw, I was enamored with his clean designs, hand made reel seats, and really liked the way he presented his builds. His set up, bright backgrounds, macro shots - all highlighted his talents. With our second installment of the monthly interview, Christian was kind enough to pull the curtain back and tell us a bit more about himself. I grew up in the countryside on a small island in the biggest lake in Sweden. When I was 20 years old, I moved to Stockholm, the capital of Sweden, where I now have lived for 22 years. I consider myself a blend of my rural background and the pulse of city. I did a lot of fishing when I was a kid, but it all came to an end when I was a teenager. I spent all my free time playing cello and jazz guitar, and didn’t pick up fishing again until I was 30 years old. I’m 41 years old today, and I live with my family in the center of Stockholm. I work as an architect, mainly with office interiors, but I work in all scales. I’m a trained house architect, but I work a lot with furniture, fittings and details. I have always been interested in architecture and design. It surrounds us which is an important notion for me. That’s why I love the city - almost everything is man made. I’m not a fan of ambitious design, of artifacts that scream out ”hey, look at me!”. The world that surrounds us is most of the time functional and silent. I like that. What led you to fly fishing? My grandfather was a fisherman. My uncle is a fisherman. I grew up on an island. It’s part of my heritage. But I have never considered myself as being a fisherman. My claim to this sport is more related to the craft and theory around the artifacts of fly fishing. What’s your favorite type of fishing (dry fly, nymph, streamer, worm and bobber)? I’m a pragmatic fisherman. I use the flies that works best for the moment. I believe in presentation rather than imitation. Most of the time, I end up using general patterns that can be fished both dry and wet. I would love to learn more about nymph fishing, but when it comes to sub-surface fishing, I prefer streamers. What would you consider your home waters? I’m involved in a restoration project north of Stockholm. We are working on a stretch of flowing water, trying to restore an old brook trout habitat. This is where I spend most of my fishing time. But my heart is where I started to fish with my father 30 years ago, in Femundmarka in Norway. It’s a national park in the Norwegian mountains with great fishing for trout and grayling. Unfortunately it’s seven hours drive from where I live, so I don’t spend much time there nowadays. What led you to rod making? When did you make your first rod? 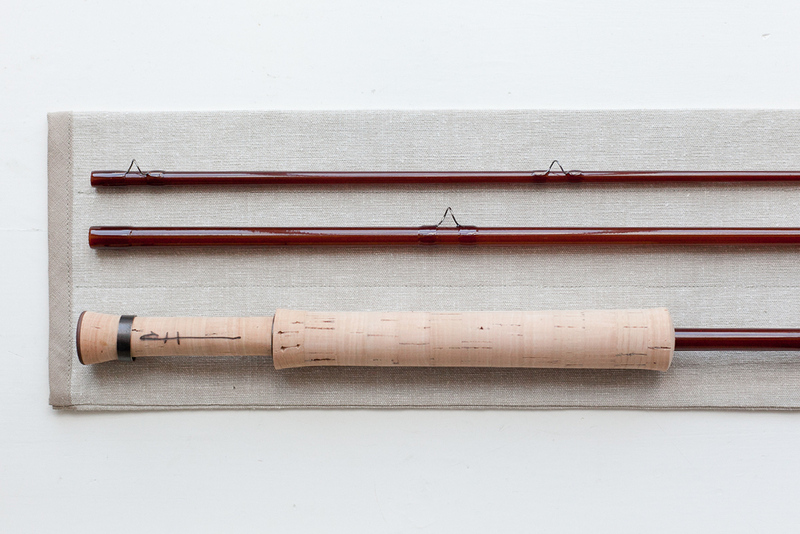 I started to build fly rods during my first parental leave in 2007. I have always been working with my hands, building architectural models in balsa wood and doing mock-ups and prototypes. 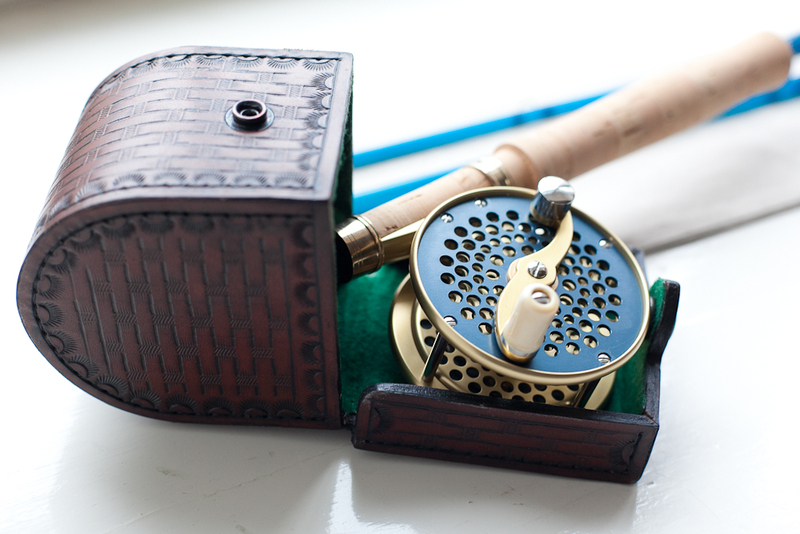 In the beginning, rod building was like armchair-fishing, but very soon I understood that I have the same mover in rod building as I do when I’m playing a musical instrument or designing a house: curiosity and the urge to master a box of tools. I’m haunted by the search for perfection. 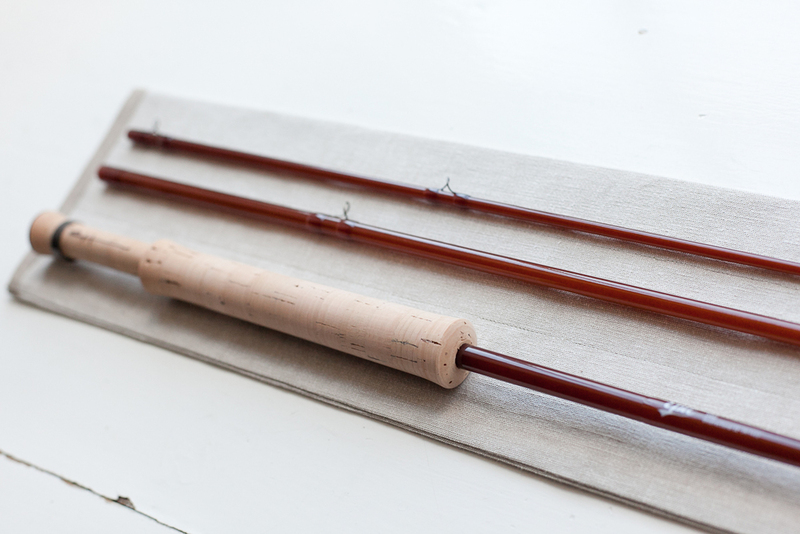 What was the first rod you built? My first rod was a Sage SLT 696-4. 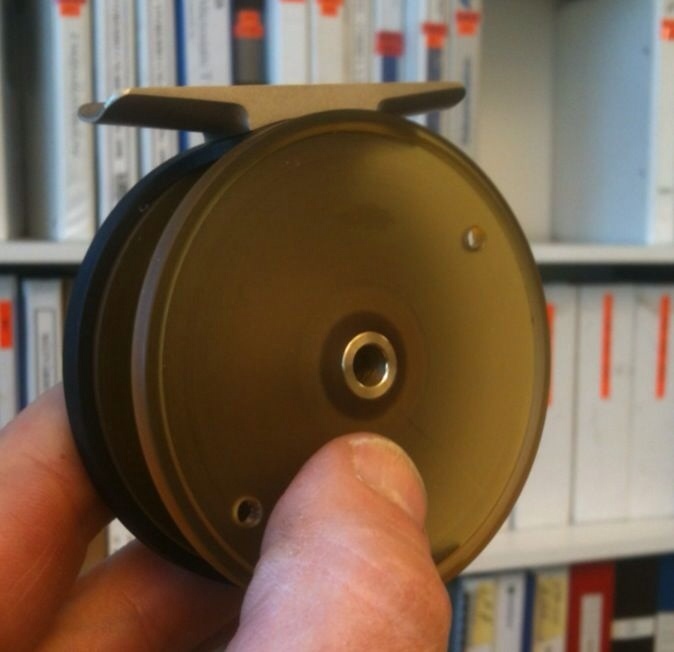 It had a preformed grip and a Struble reel seat. I remember my difficulties with the finish work. It takes time to master epoxy. How long does a rod take you to build a rod from start to finish? It depends on the level of custom work. A typical Fine Tackle rod has my own reel seat hardware, which adds a couple of hours. I would say 8 hours is what it takes to make a presentation grade fly rod. When you begin building a rod, how do you select and source your components? I have a large stock of materials in the work shop. I’m always looking for new materials that can be turned or blued to fit my style. 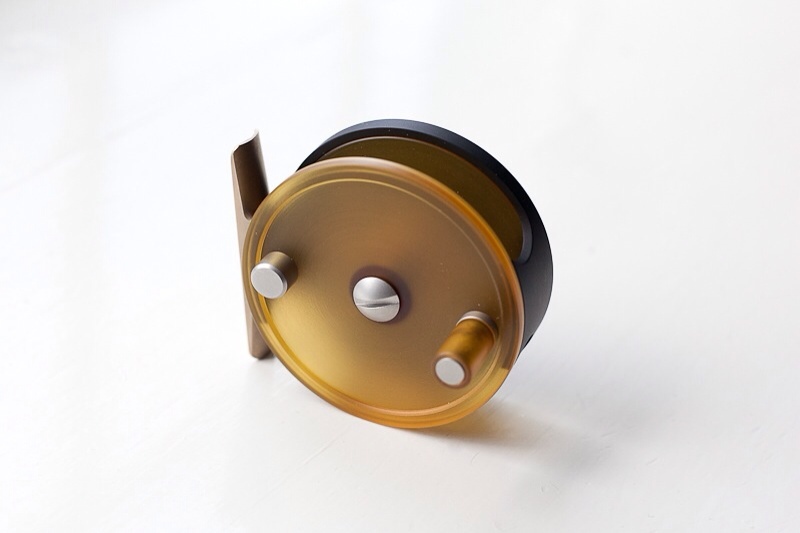 I’m using brass and nickel silver tubing for most of my hardware, combined with different kinds of wood and polymers. It’s fun to find new applications for different and unexpected materials. I like to use cheap materials on my builds, like rubber for example. How much of a rod is hand crafted by you? Components and seat etc? 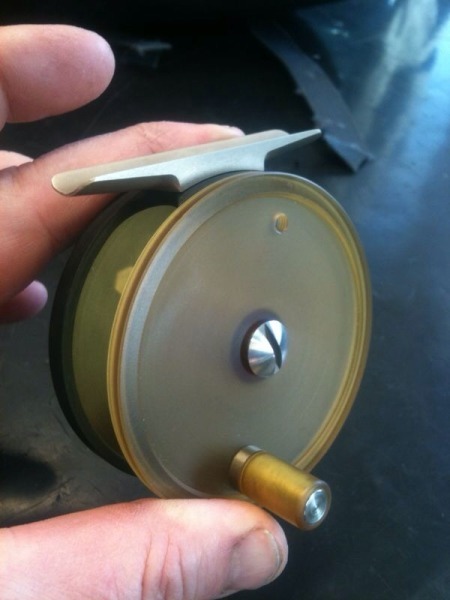 I make my own reel seats and turn my own grips. I make the rod socks from scratch, and I cut and fit and finally label the tubes. I take great pride in all this. 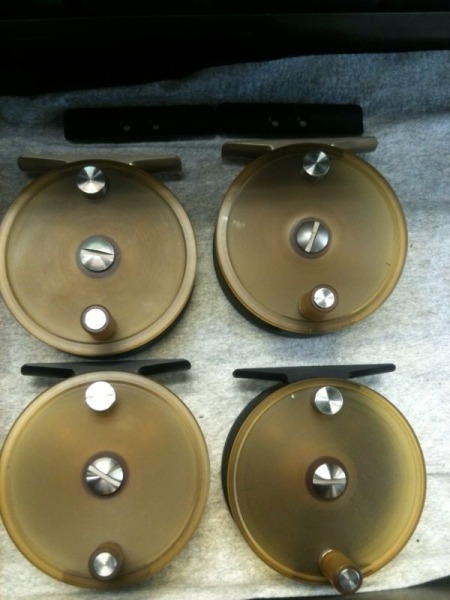 In every manual step throughout the process, you add personality to the rod. Where do you find inspiration for your work? What drives your designs? I can get inspiration from basically anything. Other builders and old rods, of course. Different materials and how to join them is a very basic approach and strategy for a trained designer, and it applies for me as well. New finishing techniques and color combinations are important as well. 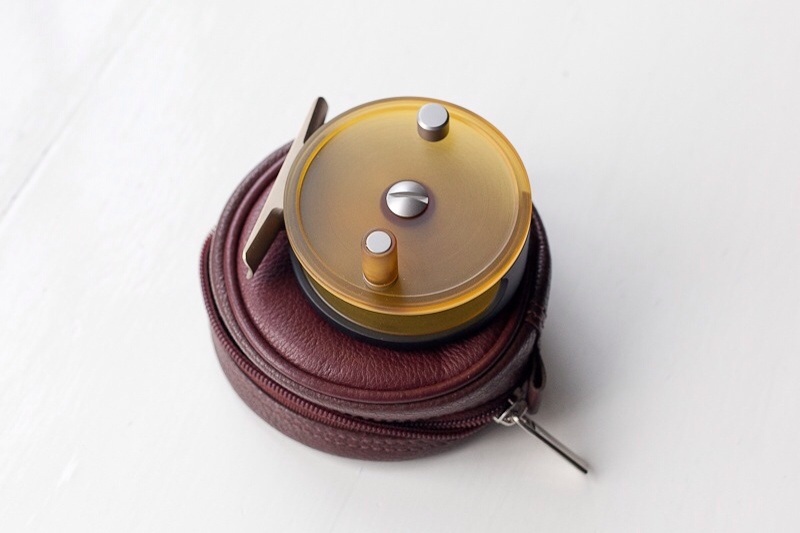 If I should mention a few traditions or styles that has been extra important to me, it would be vernacular Japanese craftsmanship and contemporary Swedish silver design. 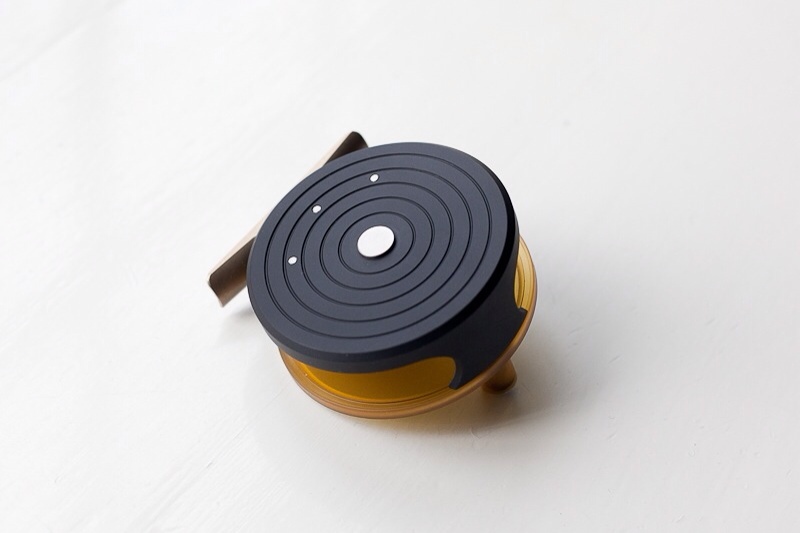 I like understated and functional design. Some call it minimalistic and Scandinavian, but I prefer not to label it such. I like it when it’s silent and self-explaining. I sometimes even find myself nodding positively towards things that are suffering from obvious mediocrity. Good design doesn’t have to claim itself all the time. Sometimes it’s nice to just function and exist. 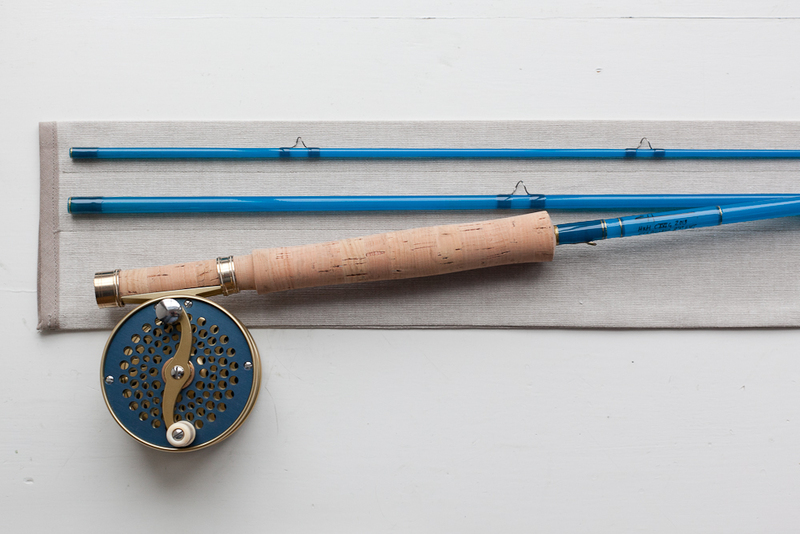 Do you have any recommendations for someone looking to have a rod built? Have patience and don’t hesitate to redo things. Think twice before you make a move. Don’t believe all you read on the internet. Try to add somehting personal instead of copying someone else. Stay true to your personal style. Keep it simple. Have fun. 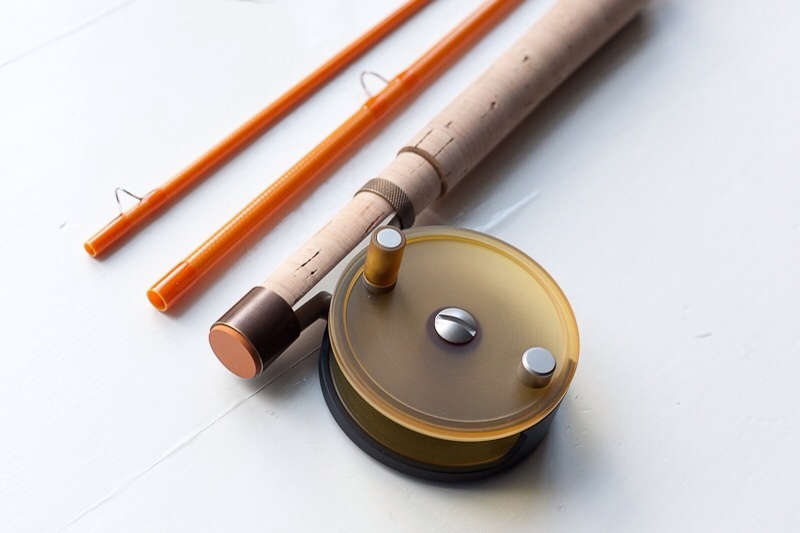 What are your favorite characteristics in a rod? Your favorite blank models? Most of my rods are 3-6wt trout rods in 7’-8’ length. I love parabolic tapers, they are so fun to cast and play fish with. My favorite tapers all have a deep bending curve combined with a fast recovery. 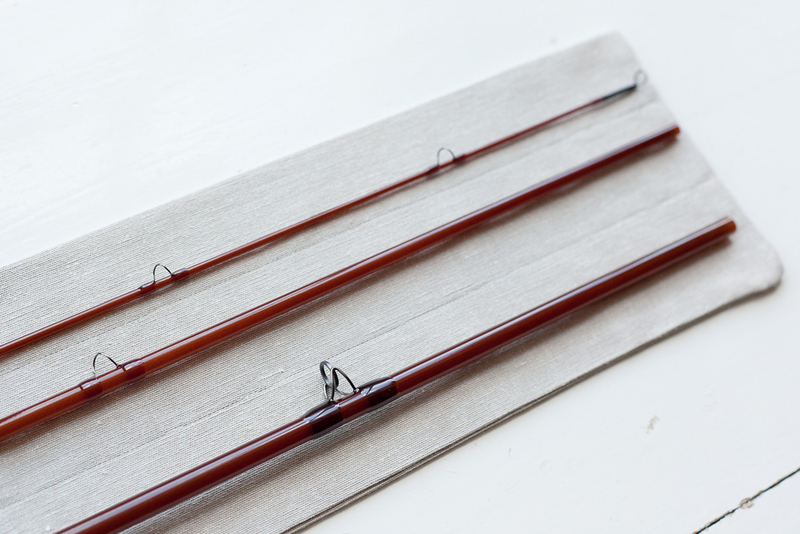 Most of my trout rods are progressive tapers, and many of them are on the soft side of medium. As long as they are crisp and responsive, I like them quite soft. Two of my favorite tapers are the Larry Kenney 7’9’’, 4wt rod (progressive), and Mario Wojnicki 227P4 (semi-parabolic 7’4’’, 4wt). I’m also a big fan of the Tom Morgan fiberglass rods. He has a very consistent line-up, all recognizable and very capable tools. If I’m allowed to include impossible-to-acquire rods, I would like to add the fiberglass tapers from Dennis Franke made in the 90’s. I love his theoretical approach and sparse builds. Mark Steffen rolled some of the blanks for Dennis, and Mark once told me that ”Dennis thought that perfection was possible”. I love that quote. When you’re not building rods or fishing, what are some of your other hobbies? To anyone out there looking to learn a bit more about you and Fine Tackle, where should they go? I have a blog www.finetackle.blogstpot.com and a Facebook account where I post news on a regular basis. If you are interested in purchasing a rod, don’t forget to keep an eye on my international vendor www.alternativetackle.com in the UK. New builds are listed every month.